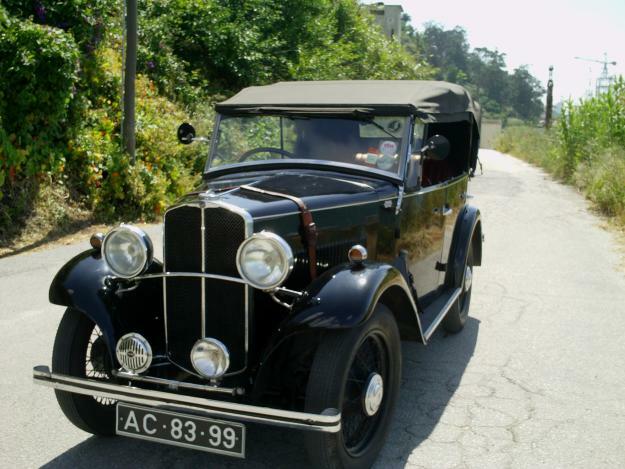 1931: Production of the Triumph Super 9 commenced, featuring a Coventry Climax engine, with 8.9bhp, 1018cc, 4 cylinder engine with overhead inlet and side exhaust valves, and a 4 speed gear box. Also the first Triumph to feature 12 volt electrics fitted. The Triumph Super 9 is a larger car than the super 7 (Triumph Super Seven) and Super 8(Triumph Super Eights) having been built on its own purpose built chassis. There were a few body styles available such as a tourer, 2 or 4 seater tourer, a 4 door 6 light coachbuilt saloon and a 4 door tourer.